Typically, I'm not very interested in theming for Windows, and I resist change to my desktop configuration as much as possible. I was convinced today, however, to give it a try with Android Skin Pack 1.0 from Hamed Danger. 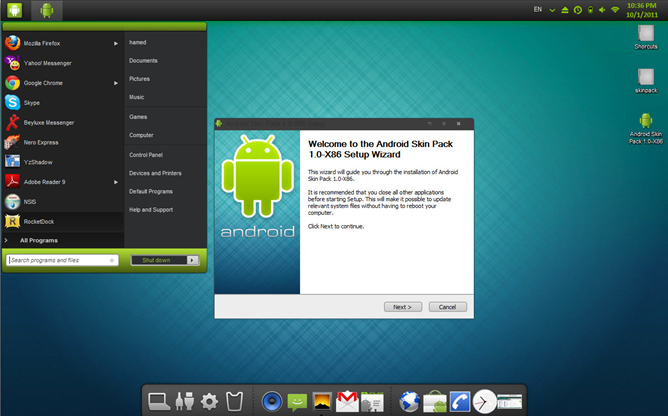 Android Skin Pack 1.0 transforms your desktop, disguising the start menu as a notification bar, and adding a launcher dock at the bottom of your screen (albeit with several more icons than its Android counterpart). 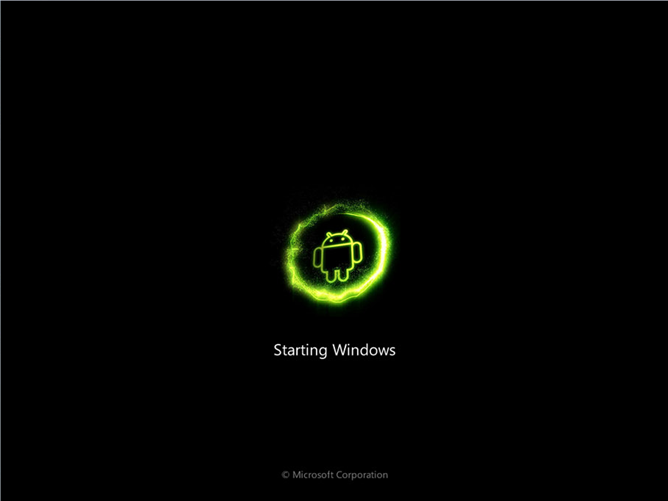 The pack also comes with a variety of familiar Android icons, a stylish wallpaper, and even spruces up your computer's boot screen. 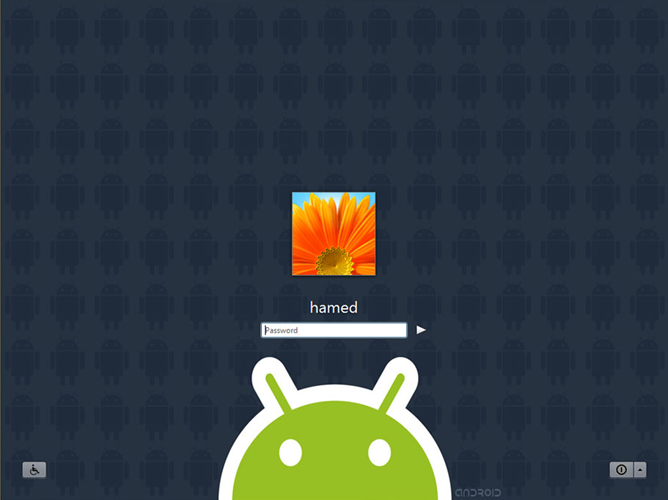 The theme is a fun tweak for those PC users who have been yearning for a taste of Android on their desktop, and can be implemented using a handy installer package available for download here, and don't worry - if you get tired of the theme, it can be uninstalled easily, and Windows will revert back to normal. If you're not already convinced, just head to the download link and give it a try!